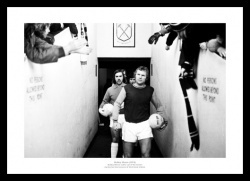 Photos and and canvas prints of West Ham legends and some of the greatest moments in West Ham United's history as well as pictures of the Boleyn Ground (Upton Park). 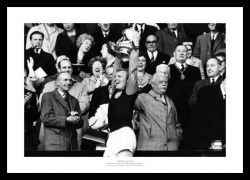 We have carefully selected the photographs from the archives to relive their victories, as well as the legends involved. 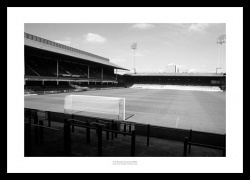 They are available as photo only, framed or on canvas in a range of sizes. 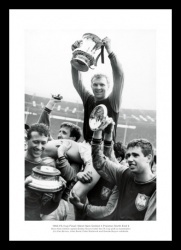 Bobby Moore's final game in a West Ham shirt. 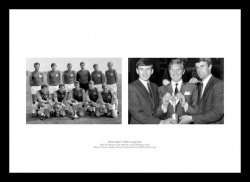 3 photos from the 1964 FA Cup Final featuring West Ham legends from the 1960s. 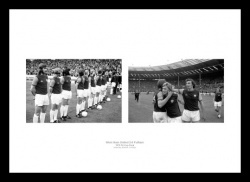 3 photos from the 1975 FA Cup Final featuring West Ham legends from the 1970s. 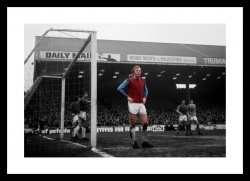 A superb view of inside the Boleyn Ground. 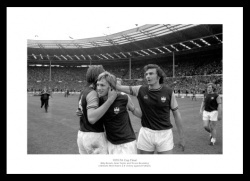 Trevor Brooking & Frank Lampard celebrate. 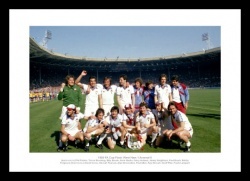 Memories of the 1980 Final. 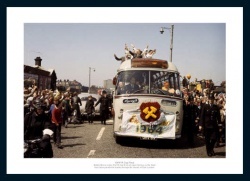 The team celebrate after victory in the final. 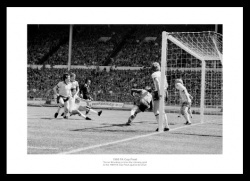 Brooking scores the winning goal at Wembley. 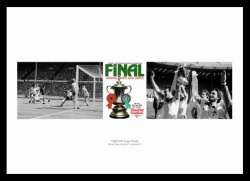 Two photos from the 1975 Final. 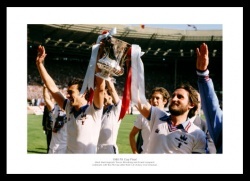 Celebrations after the final at Wembley. 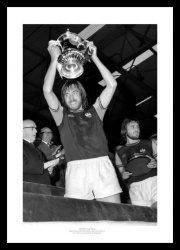 Legend Billy Bonds lifts the trophy after West Ham Unitd's 2-0 victory over Fulham at Wembley. 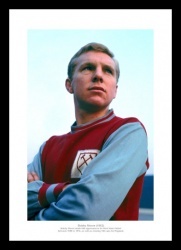 The West Ham United legend. A unique print using the spot colour effect. 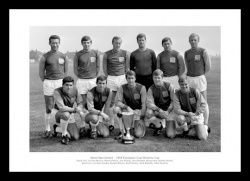 The victorious team with the trophy. 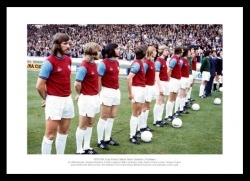 Bobby Moore is chaired by the team. 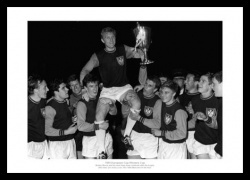 Legend Bobby Moore lifts the trophy after West Ham Unitd's 2-0 victory over Preston North End at Wembley. 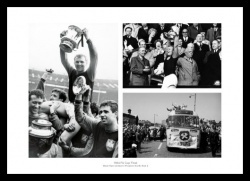 The team parade the FA Cup in front of 000s of fans..
Bobby Moore and the team. 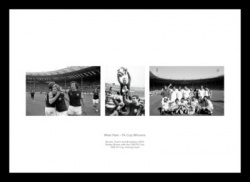 Featuring European & World Cup winners. 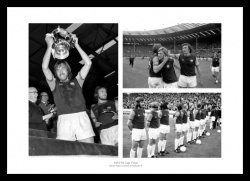 West Ham's three FA Cup victories. 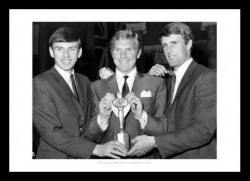 Martin Peters, Bobby Moore and Geoff Hurst. 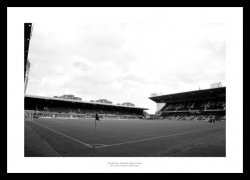 A historic photo of the stadium before redevelopment.